AJ Fernandez produces the high-quality cigars you would expect from a company spanning three generations that originated in Cuba. 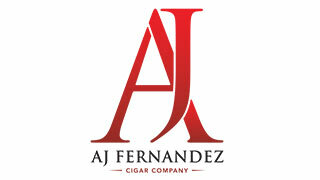 Now produced in their factory in Nicaragua, each AJ Fernandez cigar is steeped in tradition. Using only the highest quality proprietary Cuban-seed tobaccos grown in Esteli, Jalapa, Condega, and Ometepe regions, each cigar is meticulously hand crafted and highly coveted. The factory in Nicaragua produces 14 million prized cigars a year, but each brand is unique and a labor of love. Gotham Cigars sells some of AJ Fernandez’s top brands including the top rated New World, Enclave and Bella Artes Cigars.